Tom McCanna (T538 Shelby District) Rob McCanna T538, Andrew McCanna T538, Charles Sands T76, Walden Knott Crew 2010, James Myers T28, David Knott T86, Arman Lalani T76, Patrick McCarty T76, Joe McCarty T76, Matthew Cather T28, Josh Dobelbower T76, Chris Dobelbower T76. Sunday, the 18th of November, was 36 degrees when 10 determined scouts met for breakfast at 5:00 AM and then departed for the Weaver Trailhead. They got underway at 7:20, riding for 10 miles and resting for 10 minutes on their way to Cedartown, Georgia where they stopped for 30 minutes for lunch. The Scouts then turned around and rode 44 miles back to Weaver for a total of 88 miles. They immediately turned around and rode 6 miles to Jacksonville State University and back completing their 100 miles at 5:20 PM in the dark. 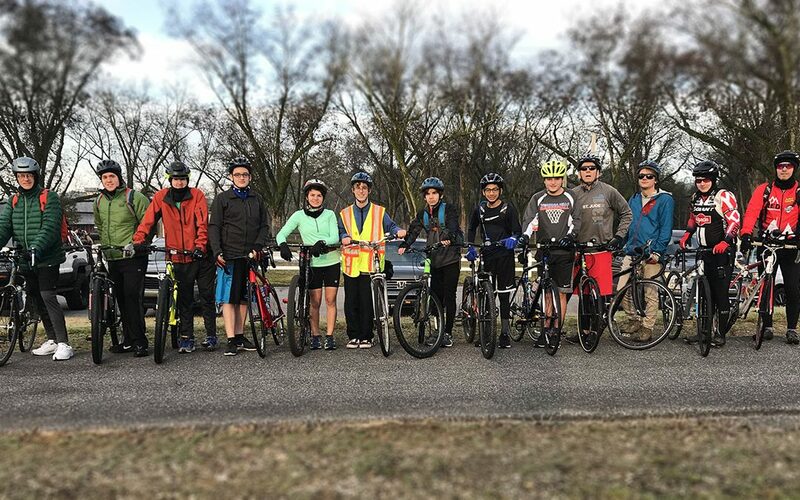 Eight scouts and three adults finished their “century” and two scouts finished their 50 miler for the merit badge. Everyone, scouts and leaders, will tell you it was a long, hard day but well worth it in the end. Everyone stayed together and no one complained. This was 1 of 3 events for the Ironman patch or 1 of 2 for the Toughman patch.